A number of elements can be added to a room to create ambiance. Ambiance is the character of a space. It is most commonly referred to as being romantic or soothing. Making a space feel comfortable and inviting takes a bit of creativity and planning. Depending on the type of ambiance you wish to achieve, there are a number of items to take into consideration. Make each room in the home have a meaning and definition. 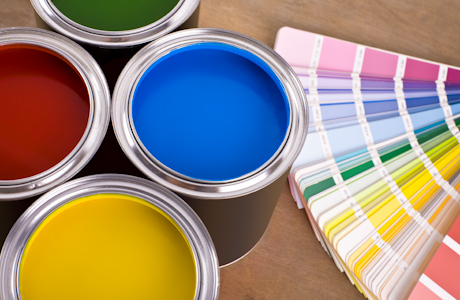 The colors of a room do speak in regards to personality. Personality meaning the preferences of those that live in the home. It also carries a different type of personality, including what the room is meant to say by its décor, colors and overall character. Greens and grays are calming colors. These mix well with a variety of contrasting colors. For instance, a green colored room is relaxing and happy. Yellows, black, white and orange mix well. Some dark blues will also match well. Where gray is concerned, this is a modern or industrial feel but it can also be inviting and soothing. Mix in reds, oranges and lime greens, even light or bright blues if you will, to create a space that is exciting. 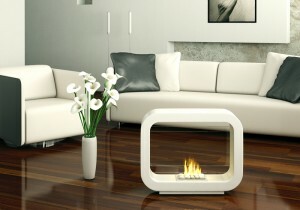 Several free-standing and modern designed fireplace additions make a space feel warm, relaxed and even romantic. Consider using a fireplace insert that runs on biofuel. Not only is this eco-friendly, it is a clean burn that will not harm any person or animal living inside the home. Fireplaces can also add heat to an area, thus reducing the cost of running a heating system during the cooler months of the year. Ambiance created via accessories is a tough challenge. This often requires the help of an interior designer. The reason being is that attitudes and personalities are often confused in the way of themes. If you wish to create a formal space with a serious vibe to it, use higher-end vases, books and sophisticated lamp structures. A relaxed space will have comfortable furniture with a few accessories including photos, a vase of flowers and a comfortable throw rug. Lighting in a space is very important. When you wish to create a romantic space, consider the fact that you should have lights that dim. Being able to adjust lighting changes the mood in a space. Lighting can create character and increase the aesthetics of a space quite easily. Consider track lighting or multi-level options. The design of a floral arrangement brings a lot to a space. The colors of the flowers that you use are also important. Deep or rich reds have a romantic or sophisticated meaning while white is pure and yellow signifies friendship and happiness. Choose the colors and arrangements of floral accents carefully. Consider an arrangement of all one color to make a significant statement in a room. The aroma that you and guests take in when enjoying a space together sets the mood. Smells of fresh, outdoor or nature-like aromas keep moods light-hearted and relaxed. This is ideal for a gathering to celebrate a birthday or job promotion. Also consider the smell of fresh baked goods or just the smell of food cooking. This makes the space and entire home smell welcoming and comfortable. What guests smell as they walk into your home is what will set their mood. It will also change the way that they see each room in the home, and in many cases, it may mean a different appreciation for the décor or space itself. Creating ambiance is a little tricky but it can easily be done with the help of a designer or by having a specific plan in mind. Consider what you want the room to say to guests as they enter. If you wish to have a room that is happy, keep it fresh and let in a lot of natural light. More sophisticated rooms can be a little darker with more discerning décor.